Yet another bluetooth hacking technique has been uncovered. The ECDH key exchange involves a private and a public key, and the public keys are exchanged to produce a shared pairing key. The devices must also agree on the elliptic curve parameters being used, but in some implementations, these parameters are not sufficiently validated, allowing remote attackers within wireless range "to inject an invalid public key to determine the session key with high probability." 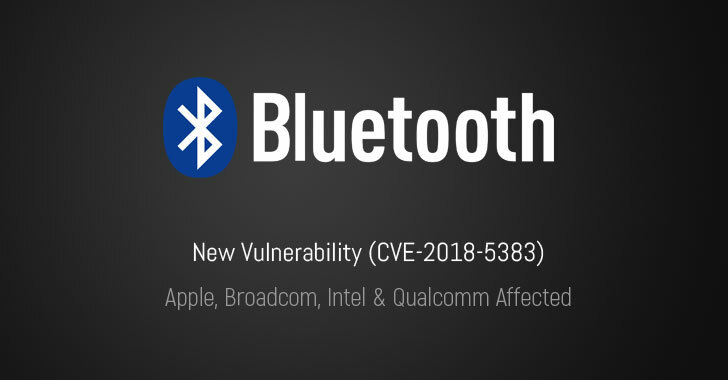 So far, Apple, Broadcom, Intel, and Qualcomm have been found including affected Bluetooth chipsets in their devices, while Google, Android, and Linux have yet to confirm the existence of the vulnerability in their respective products. Microsoft products are not vulnerable. Intel released both software and firmware updates to patch the Bluetooth bug on Monday, informing users that the high severity flaw impacts the company's Dual Band Wireless-AC, Tri-Band Wireless-AC, and Wireless-AC product families. According to Broadcom, some of its products supporting Bluetooth 2.1 or newer technology may be affected by the reported issue, but the chip maker claims to have already made fixes available to its OEM customers, who are now responsible for providing them to the end-users. Qualcomm has not released any statement regarding the vulnerability. The Bluetooth SIG says that there is no evidence of the bug being exploited maliciously and that it is not aware of "any devices implementing the attack having been developed, including by the researchers who identified the vulnerability."